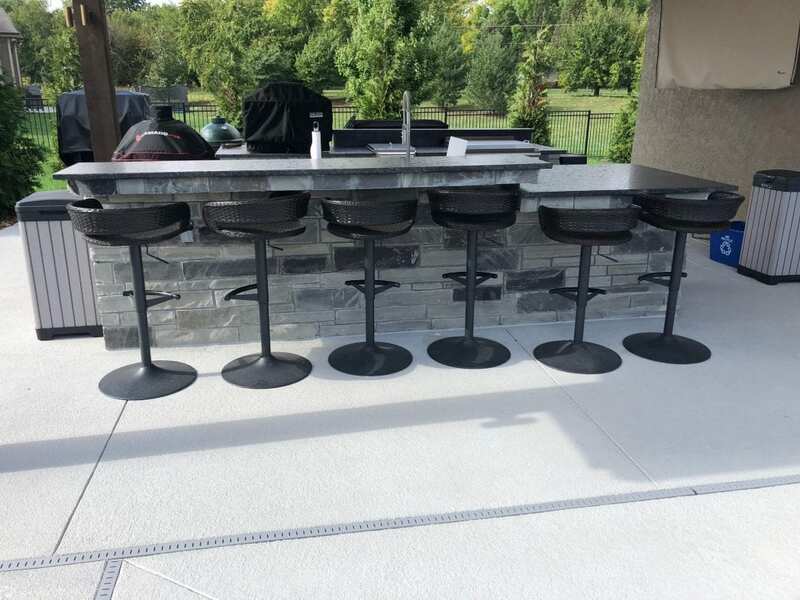 Friends and family gather to enjoy quality time in their new outdoor kitchen and living area made with Charcoal Canyon stone. Between grilling out and having fires on warm summer nights this functional space is ready to make memories for years to come! Want to know what we can do for your project? Feel free to contact us, we are always interested in what you are looking for and see if we can help you out. Natural thin stone veneer has many aesthetic uses for residential and commercial projects. In addition, its durability allows it to serve as functional décor and fixtures. This durability and functionality makes natural thin stone veneer a long-lasting investment and luxurious addition to your space. Natural stone products can be used to design seating, walkways, fireplaces, divided spaces, fire pits, and much more. Each of these projects will add purpose to open spaces, function to remote areas, and create usable space; all of which increase the value of your home and property. 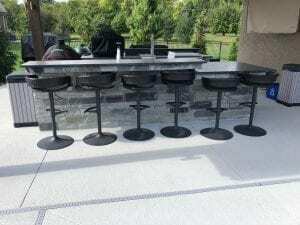 Installing a fire pit in an open area will create a gathering place, especially during cooler weather. Year-round use as a place to prepare small meals or to just enjoy the crackle of the fire are appealing benefits to adding this fixture to your home. You can also create an earthy ambiance by laying a natural thin stone paver pathway, spacing the veneer stones as stepping stones leading from your home to your new gathering place. Continue this path to another purposeful space by adding a stone fireplace or some secluded seating, maybe by a pond or lakeside. Each of these stone projects will last a lifetime and help you create wonderful memories without leaving your backyard. 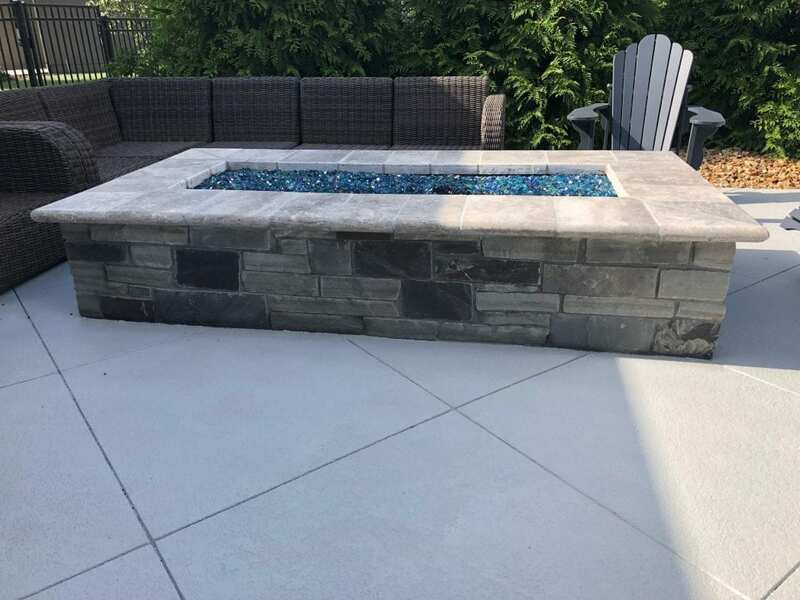 Stone is a durable choice for many exterior projects like stone benches and outdoor fireplaces. 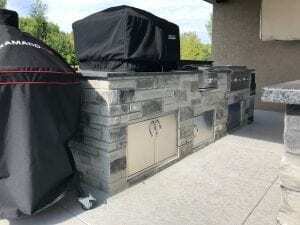 Promoting durability and longevity, these projects should be installed on a frame or structure that will take advantage of the thin stone veneer’s low profile. 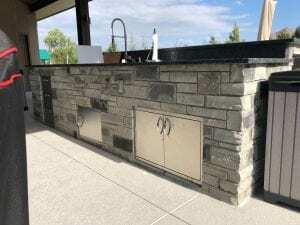 These and similar projects will last for decades since natural thin stone veneer withstands the extreme heat, frigid cold, and other harsh conditions. This makes these fixtures a beautiful, cost-effective solution to bring an earthy element to your home and neighborhood. 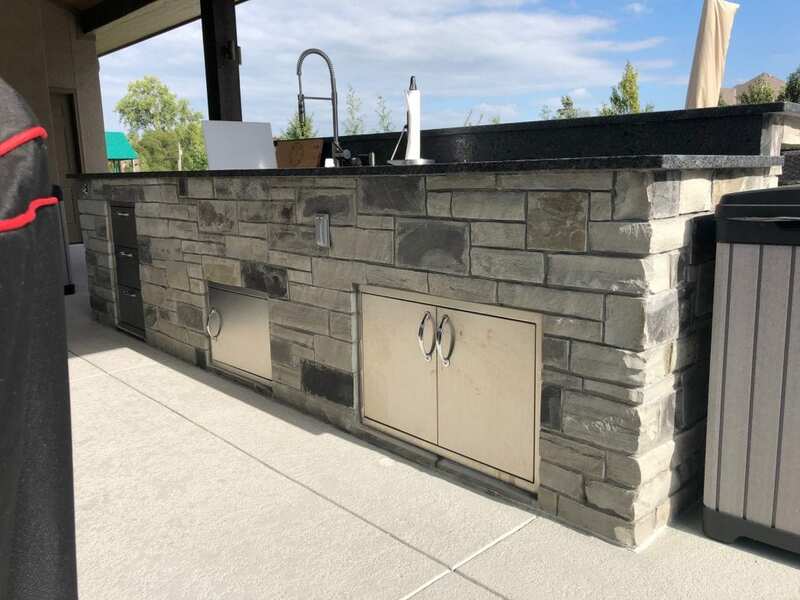 Imagine the memories and connections you and your family and friends can create with a custom creation using natural stone veneer.